This chapter stages an imaginary conversation between Duncan Campbell Scott (born 1862), the Canadian Deputy Superintendent of Indian Affairs from 1913 to 1932, and E. Pauline Johnson (Tekahionwake; born 1861), the daughter of a Mohawk Chief and an Englishwoman. Scott and Johnson were distinctively different poets who addressed Indigenous issues from very different racialized and gendered perspectives. Scott’s poetry reflected his attitude that the cultures of Indigenous people were primitive and that the only possible response was assimilation through intermarriage and education. 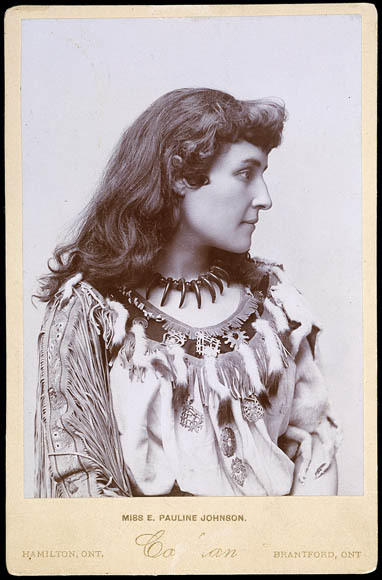 Johnson, however, proudly declared herself a Mohawk, and argued for Indigenous traditions, including paganism. The Cree-Metis heroine of her story “A Red Girl’s Reasoning” confronts her new husband, who is scandalized to learn that her parents were not married in a Christian ceremony: “Why should I recognize the rites of your nation when you do not acknowledge the rites of mine?” Her poems, stories, articles and performances all presented Indigenous people as having an equal claim to Canada, a claim that often had been and continued to be ignored. Scott’s worldview was widely shared; during his career his poetry was canonized and his actions in the Department of Indian Affairs rarely criticized. As Sherene H. Razack argues, Canada is a white settler society and “[i]ts origins lie in the dispossession and near extermination of Indigenous populations by the conquering Europeans. As it evolves, a white settler society continues to be structured by a racial hierarchy” (1). Canadians maintain the idea of European racial superiority by telling stories, according to Razack, that involve the Indigenous population being mostly dead or assimilated, and of Europeans as being the first people to work and cultivate the land. An implication of these stories is a fallacy of merit whereby it is assumed that Europeans deserve the land they took because they cultivated it and that their labour led to Canada’s social and economic progress. Settler-colonial cultures are built on justifying racism and colonialism while, at the same time, denying its existence and legacy. As Razack argues, “[a] quintessential feature of white settler mythologies is, therefore, the disavowal of conquest, genocide, slavery, and the exploitation of the labour of peoples of colour. In North America, it is still the case that European conquest and colonization are often denied, largely through the fantasy that North America was peacefully settled and not colonized” (2). 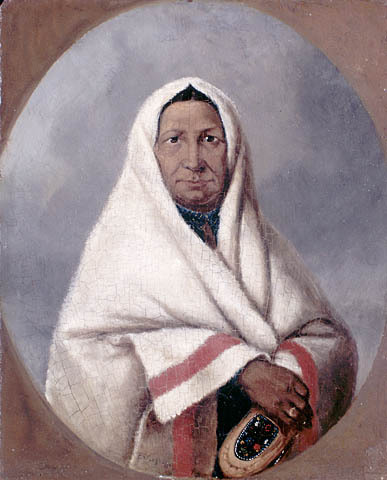 In Scott’s poem “The Onondaga Madonna”, the mother holds a baby “paler than she,” whose father is implicitly white. Scott describes this mixed-race child as “her nation’s doom.” Johnson’s father was Mohawk and her mother English; clearly she would not have agreed with him. To understand the relationship between Scott’s poetics and politics, it is helpful to understand colonial concepts of racial difference. The idea that people can be categorized as belonging to a race, that is, a group of people who are biologically linked, is still commonplace. People often use racial terms like Caucasian or Black to identify themselves. However, racist beliefs require not only that people believe in some sort of physical differences among human groups (skin colour, etc. ), but that such differences mark more important, less visible differences in intelligence or physical fitness. Racial categories were defined and made into a hierarchy in the nineteenth century, and these ideas were taught in universities. Racialization is the process of marking some groups as biologically different from others while disregarding the myriad of complex social, political, economic factors that influence people’s identities. The concept that racial identities are constructed via the process of racialization works against the notion that humans can be objectively categorized by race. Cultural critics now turn their attention to discussions of how ideas of race were formed and used to justify the idea that some races are naturally better than others. One of the ways that settler-colonialism is maintained is through racialization. Recently, sociologists and cultural theorists have begun rethinking race. In their influential work Racial Formation in the United States (1986), sociologists Michael Omi and Howard Winant coined the term racial formation to describe the social construction of race. The idea of racial formation “emphasizes the social nature of race, the absence of any essential racial characteristic, the historical flexibility of racial meanings and categories, the conflictual character of race at both the ‘micro-’ and ‘macro-social’ levels, and the irreducible political aspect of racial dynamics” (4). If race is formed socially then it can be reformed, reimagined, and remixed given sufficient time and political pressure. Nothing about race is essential and, as such, granting or denying people rights on the basis of race alone is nonsense. Racism has a history and racialization is a process. Racialization is not an accident of history. It was a deliberate colonial policy to justify the removal of Indigenous rights and to justify a cultural genocide. While race is a colonial construct, it is also still an idea that impacts contemporary Canadian society. In “Sliding the Scale of Elision: ‘Race’ Constructs/Cultural Praxis” (1998), literary scholar Roy Miki argues that the process of racialization is often hidden from view. In the context of Canadian scholarship, Miki argues, “non-white subjects in the Canadian state are subordinated as ‘others’ who inhabit a realm of shadows, of chaotic darkness, of ‘non-persons’” (132). The critique of racialization exposes how language is often a form of power wielded by dominant groups over those who have been subjugated by force, subordinated, and turned into stereotyped and simplified Others who are outside the privileged domain of the dominant group. Miki, Roy. “Sliding Scale of Elision: ‘Race’ Constructs / Cultural Praxis.” Broken Entries: Race, Subjectivity, Writing. Toronto: Mercury, 1998. 125–59. Print. Omi, Michael, and Howard Winant. “Racial Formations.” Race, Class, Gender in the United States: An Integrated Study. Ed. Paula S. Rothenberg. 4th ed. New York: St. Martin’s, 1998. 13–22. Print. Razack, Sherene H. “When Place Becomes Race.” Introduction. Race, Space, and the Law: Unmapping a White Settler Society. Ed. Razack. Toronto: Between the Lines, 2002. 1–21. Google Books. Web. 17 Oct. 2013. Johnson, E. Pauline [Tekahionwake]. E. Pauline Johnson, Tekahionwake: Collected Poems and Selected Prose . Ed. Carole Gerson and Veronica Strong-Boag. Toronto: U of Toronto P, 2002. Print.